The word ‘selvedge’ relates to the ‘self-edge’ of fabric. Selvedge is woven so the fabric’s ‘edge’ can be used in garment construction. In regards to jean construction, using the outer edge of the denim (the self-edge), makes a jean a ‘selvedge’ denim jean. See a finished selvedge jean. The edges of the outseam, shown when cuffed, identify selvedge denim. Notice the finished edges. Selvedge denim is woven using old-fashioned denim-weaving techniques; most authentically woven on old looms. See finished selvedge jeans. Selvedge looms were popular in denim weaving until the mid-to-late 1900’s. US denim mills began modernizing their machinery to speed production as demand for denim grew world-wide. For these mills, that were focused more and more on increasing output, the use of old selvedge looms became unwanted, making the looms obsolete due to their slower and less consistent production. Selvedge denim on roll. All selvedge denim comes from a denim mill in raw form. Once washed it is no longer raw. However, today, selvedge denim has become more desirable than non-selvedge for two reasons: the nuance of the denim weaving technique itself and the commitment to quality from the mills producing selvedge denim. Japanese mills are the unquestionable leaders in selvedge denim production, nowadays. 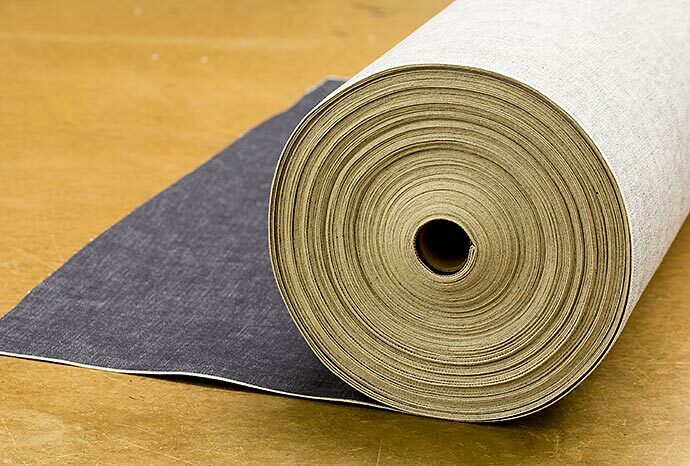 Selvedge tends to have a tighter, denser weave than non-selvedge. The higher density gives the denim a sturdier hand. The use of the older selvedge loom technology also creates variations on the denim surface (due to inconsistencies in the weaving process) compared to denim woven on modern looms. These variations make the denim visually unique and highly desirable. 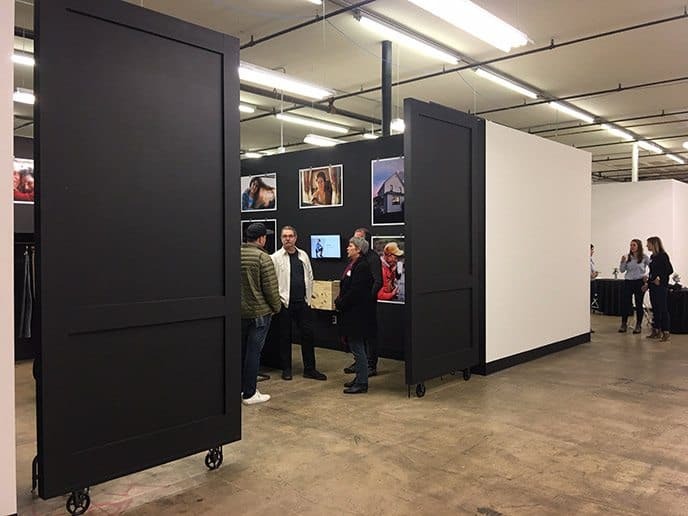 Denim mills that have committed to the production of selvedge denim understand and value the nuance and history of denim. With their advanced knowledge comes a desire, as well as a self-imposed responsibility to make a superior product. For these mills, yarn quality, dyeing techniques, quality control, design and innovation take heightened priority as compared to mills focused on commodity, high-volume production. The result is an undeniable increase of the overall quality of selvedge. 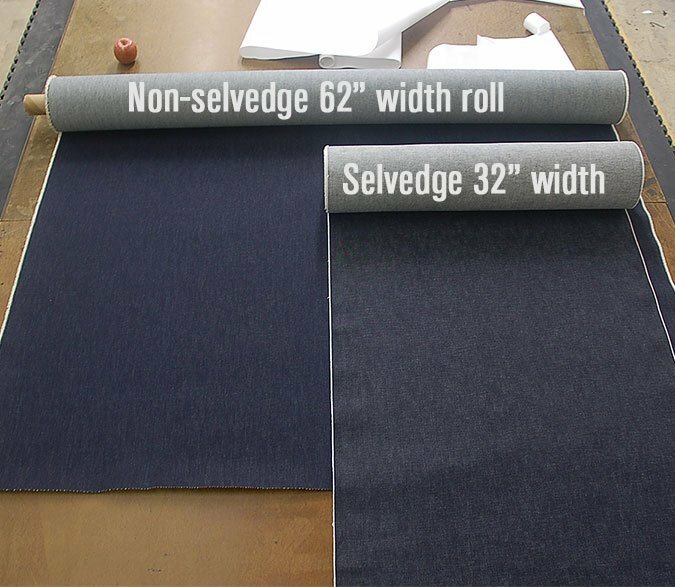 Selvedge denim rolls are more narrow than non-selvedge. 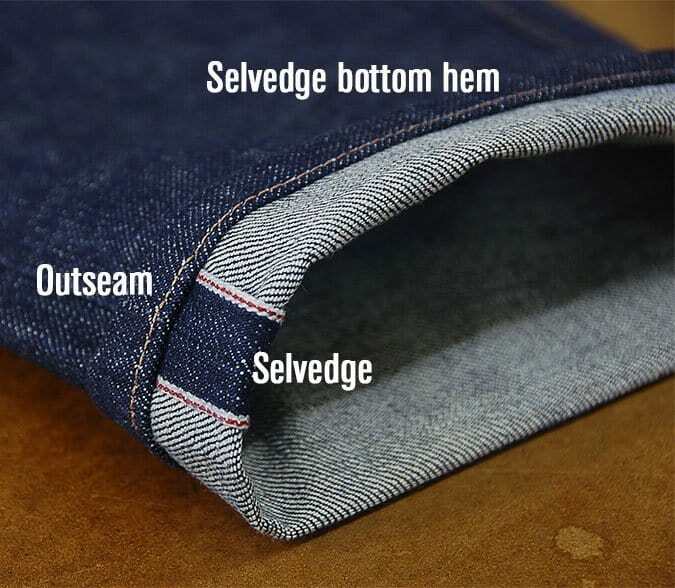 The word selvedge comes from “self-edge.” The edge of the denim has a clean finish, since it will not unravel, the edge of the fabric is used as the garment’s outseam. 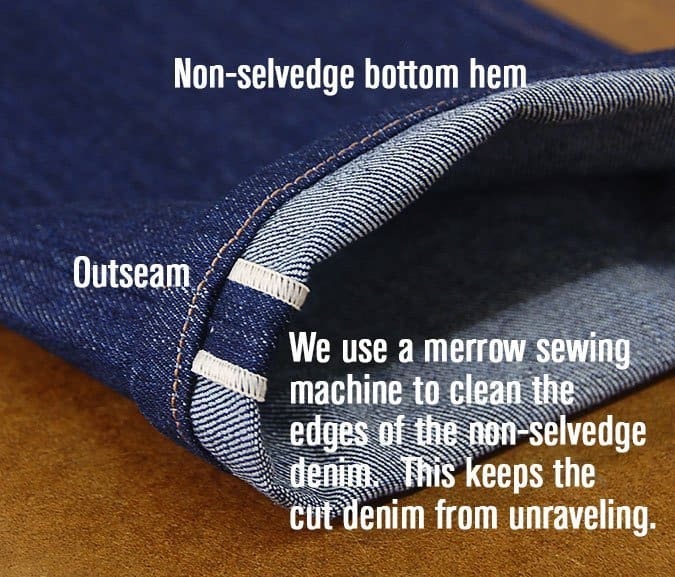 Therefore, looking at the inside of the outseam, is an easy way to identify a pair of jeans made from selvedge denim. The denim edge is used in the jean construction. The outseam of the jean is the self-edge of the denim fabric – and is the identifier of selvedge denim. As the above photograph reveals, the selvedge denim has the white edge with blue thread. This is the “self-edge” of the denim. A non-selvedge jean will need a merrow stitch (or cleaning stitch) on this edge to keep the denim from unraveling. The outside edge of the jean, called the outseam, is sewn using the outside edge of the fabric. This incorporates the self-edge into the jean construction. 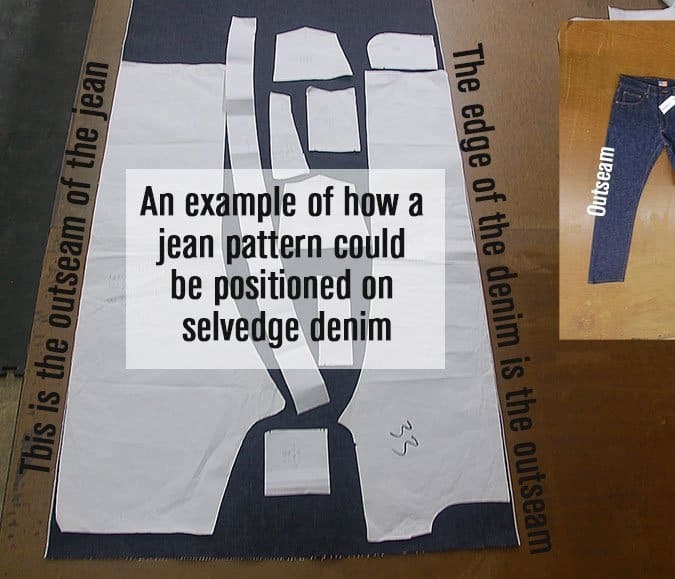 The above picture shows how to place a jean pattern onto selvedge denim before cutting. 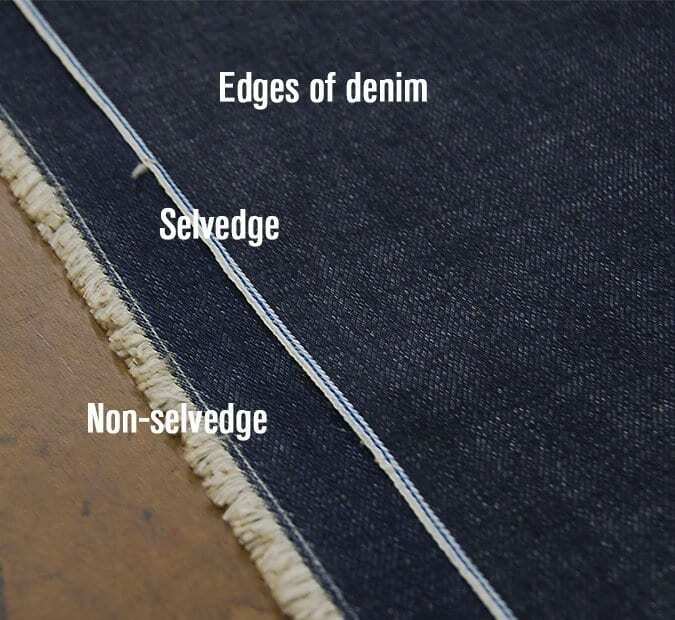 This clarifies the use of “self-edge.” Selvedge is narrower than non-selvedge. Fully using the “self-edges” minimizes fabric waste. (As seen in the first photograph of this article). 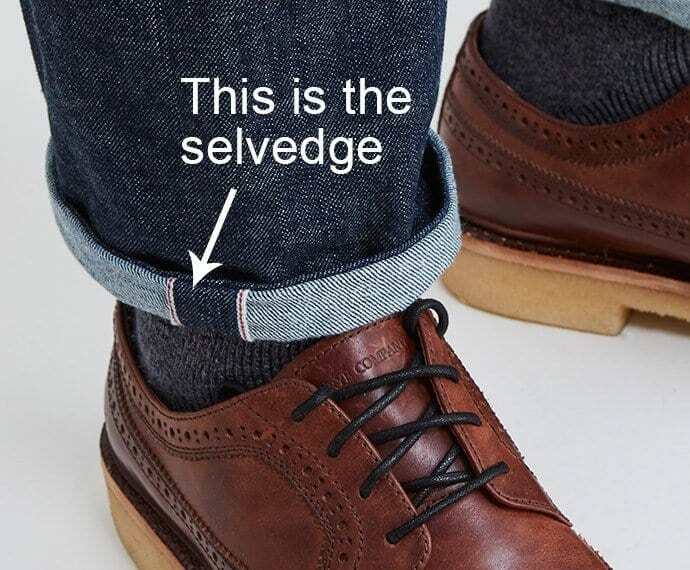 This illustrates the most common identifier of a selvedge jean. Non-selvedge jeans require a cleaning stitch to keep the outseam from unraveling. Selvedge denim is not the same as raw denim. Raw denim has never been washed. Therefore, all denim, selvedge or non-selvedge, is raw when it comes out of the loom. Washed denim is no longer raw. There may be many questions concerning the differences between selvedge and non-selvedge denim. One is not superior to the other in terms of quality and longevity. Moreover, the cotton and the dyeing processes used for selvedge are not necessarily different than those used for non-selvedge. 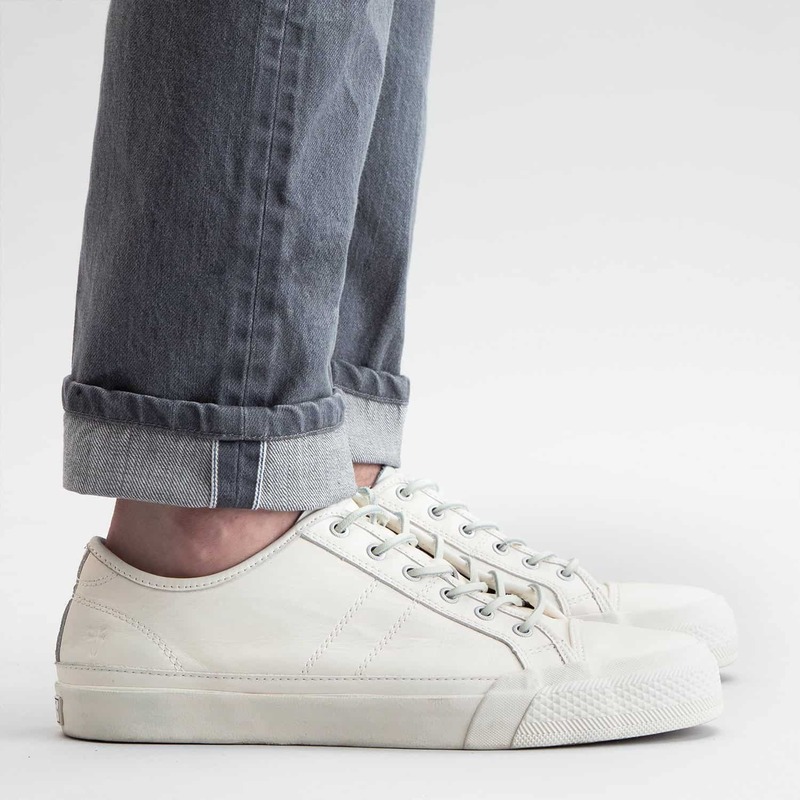 In question of comfort, non-selvedge may offer somewhat more flexibility in fabric. However, selvedge is undeniably more desirable and attractive, and the Todd Shelton brand recommends highly and truly the purchase of selvedge jeans. Todd Shelton is an American fashion brand headquartered in New Jersey. Founded by Tennessee native Todd Shelton, the brand’s collections offer industry-leading fits that are manufactured in the company’s NJ factory and sold exclusively online.